The cloud, in tandem with the proliferation of smartphones and tablets, has been an enabler for the year’s significant development, BYOD. Major research houses have heralded this trend for a number of years: IDC reported that in 2010, 30.7% of workers used a personal PC or smartphone to access a business app, and in 2011, this level rose to up to 40.7%. Gartner predicted last year that by 2016, at least 50% of enterprise email users will rely primarily on a browser, tablet or mobile client instead of a desktop client. This ‘consumerisation of IT’ trend is one that businesses are encouraging and it seems the trend will play a major role in business moving forward. These findings mean that, more than ever, data use is a real issue when buying fixed line broadband for your business. Broadband usage demands have naturally increased in line with the continuing growth of BYOD and the cloud and this has created a number of challenges for businesses. Businesses that opt for capped broadband tariffs have increasingly suffered as data consumption continues to rise, and capped usage limits become less and less financially viable. Cloud computing is predicted to continue its significant growth well into 2013 and beyond. As a result, businesses should continue to invest in cloud connectivity and should look for products bundled in with this data connectivity – that is where value will be found. With BYOD, it is likely that there is an adoption phase that needs to be addressed within the market; nevertheless, it is expected to drive a better class of connectivity in the home, in order to be comparable to broadband delivered in the workplace. In addition to this, as the consumerisation of IT continues to grow, there will be more demand for consumer friendly, intuitive devices that improve business working. 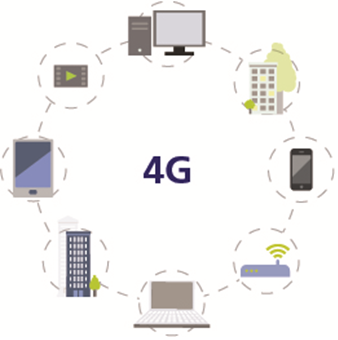 The major development set to impact business communications in 2013 is the arrival of 4G. It is exciting that businesses will have the opportunity to implement products that can perform in both a fixed and mobile location – something that could be a real game changer. Businesses that apply high speed connectivity within the workspace to support applications and services whilst on the move and within a fixed location, will be a step ahead of the competition.